The Greater St. Cloud Community Pillars Forum is an annual gathering of hundreds of area residents who have a shared interest in working collectively to advance the region’s top priorities. The goals of the annual forum are to elevate awareness, increase collaboration, leverage resources, and to reinforce a shared vision for the region. 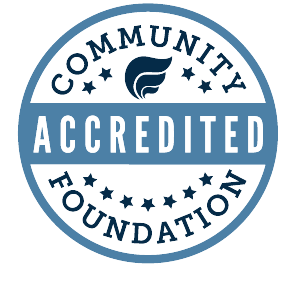 CMCF has been involved with the Community Pillars project from the beginning in 2010. Because of the unique place that a community foundation holds within a community, we were able to convene other foundations, funders and key stakeholders to discuss this opportunity to help our community focus and move together in one direction. CMCF continues to be involved because of the importance that this initiative has in helping the greater St. Cloud area become the best it can be. The Community Pillars Initiative got its start in 2010 when 40 Greater St. Cloud area leaders took a bus trip to Dubuque, Iowa—a city that was having great success in planning and executing a shared community-wide vision. They learned the secret to Dubuque’s success was not in the assets the community possessed but in the way in which it collectively used its assets to plan for the future. On the bus ride home, community leaders realized that St. Cloud had the necessary assets. It was a common vision that was missing. And from that inspiration, the Greater St. Cloud Community Priorities initiative was born. Today, the vision has been refined and renamed to focus on the Greater St. Cloud Area Pillars of arts and entertainment, community engagement, economy, education, green, housing, infrastructure, safety and wellness.